ITS Education Asia Article - So you don't think Physics is useful? So you don't think Physics is useful? Study the pictures below and read the questions that follow. Do you know their answers? How are three dimensional images of objects taken? Do you know the name of the device? What are its uses? How does electricity reach our homes from power stations? 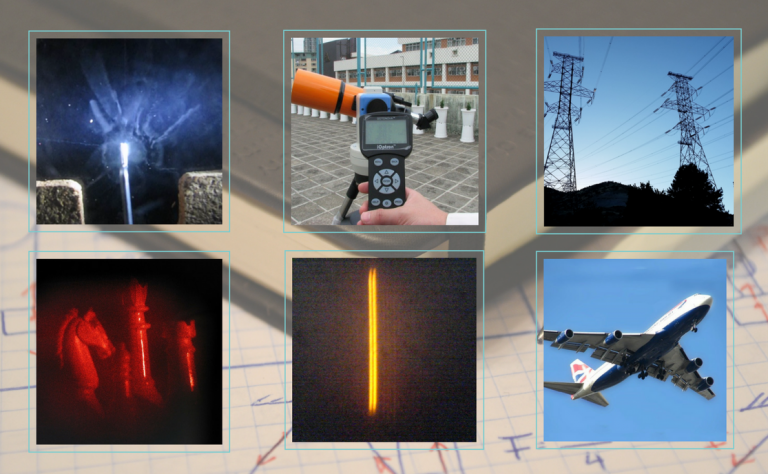 How wavelengths of light from a street lamp are measured? Why radiations are emitted from some substances? What are they? Why aircraft can “float” and fly in the air? If you are curious to know the answers to the above questions and how other old and new stuff works, you could certainly do worse than choose physics as one of the electives during study in high school. Physics curriculum of IB or IAL provides basic theories and practices to the understanding of how things work. In the course of learning, students are trained to observe phenomena closely, investigate scientifically factors affecting situations, plan cautiously experiments for verification, think about the obtained results critically and draw reasonable conclusions for applications. From the history of the great physicists, they usually followed these procedures to discover new things and find their respective applications to improve our living. An illustration is the discovery of X-rays which were noted by the German physicist Wilhelm Röntgen. Just two weeks after the publication of Röntgen’s paper related to X-rays, the discovery was announced to be used in the diagnosis of bone fractures in the medical field. Physics is a prerequisite to many majors as prescribed in the university entrance requirements, examples like faculties of engineering, natural science, computing and actuarial science. Schools of law, medicine, business, building, surveying and architecture also accept students with a physics background as they consider these students demonstrate keen observational, and high analytical, abilities in matters; learn fast from new situations and derive appropriate solutions to each of them; deduce sensible and applicable conclusions from results in different trials. Studying physics doesn’t only satisfy ones curiosity about stuff but it also equips you with a scientific mindset knowing that everything has a limitation. This concept is especially essential in the commercial sector, for instance investors shouldn’t put all capital in one business even though it is beneficial at present because numerous stressed factors can change or degenerate the business’s existing profits or cause the business becoming obsolete. Teens having acquired the knowledge, skills and scientific mindset can definitely adapt themselves to environments in the rapidly changing and globalized world. It is all about transferable skills and physics certainly provides these. So when you next see the promotion of “STEM” education, let it arouse your interest in science and consider how it may help different job perspectives in future and open up the opportunity for a useful and rewarding life. The author teaches for ITS Education Asia both at our schools in Hong Kong and through our online school. No matter where you live, if you would like to join supplementary tutorials or take a full qualification at IGCSE or IAL, get in touch with us.